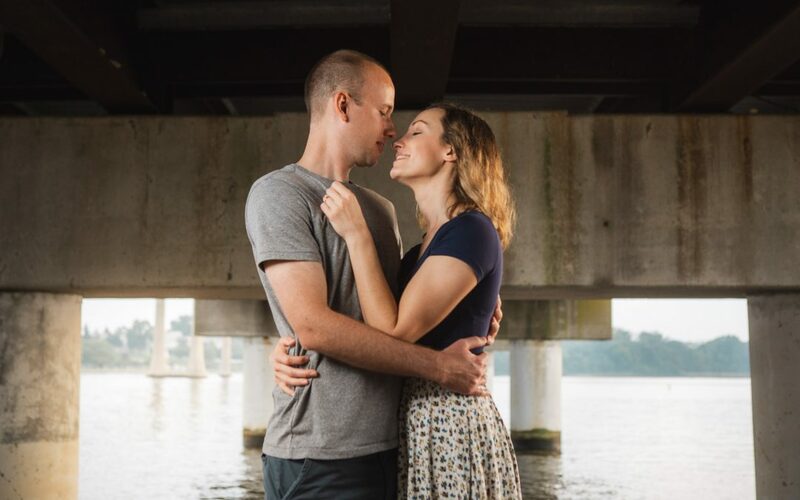 In just a couple days, these two will finally be getting married, so I thought today would be a great time to share some photos from their beautiful sunset engagement session in Annapolis. We went to Jonas Green Park, just over the Naval Academy bridge. It has a beautiful view of the Severn River, as well as a particularly stunning perspective right under the bridge. We started in the grass and slowly moved toward the beach, playing with different arrangements and getting comfortable with each other’s style. Finally, as it was getting dark, we finished up with some classic beach-walk images, with a particularly ‘Annapolis’ vibe. Check out some favorites from the session below, and keep an eye on social media over the next couple weeks to see some highlights from this couple’s big day. If you’re getting married and looking for a wedding photographer, check out the wedding photography page here on our website, or just send a quick email! We’d love to hear from you!